Over the last couple years Microsoft Lync, formerly Microsoft Office Communicator, has been gaining a larger share of both the enterprise and the SOHO/SMB unified communication market. If you ask a room of people in the know about UC platforms what Lync 2013 is you’ll most likely get a group response reminiscent of students repeating a lesson back to a teacher that “Lync is a unified communications platform that provides a single client experience for presence, instant messaging, voice, video and a great meeting experience” or something along those lines. Ask a follow up question what the difference between a device that is Optimized for Lync compared to one that is Compatible with Lync and you’re more than likely to hear the sound of few heads being scratched with the occasional “um. . .ahh. . .um” than a unified response. So what is the difference between an Optimized for Lync and Compatible with Lync VoIP Phone? 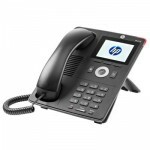 Powered by Lync Phone Edition these phones have full support to PBX functionalities, access to calendar and contacts, rich conferencing, extended functionalities when connected to the PC, and integrated security and manageability. 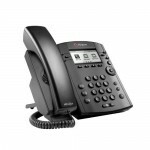 Compatible IP phones run manufacturer OS and do not require gateways for interoperability. They are fully tested and qualified to provide direct connectivity, core call functionality, presence awareness, and server management and provisioning. To summarize Optimized means that the phone has been built specifically for use with Lync and you get all the functionality, while Compatible means that the it has been tested and will work with the core functions of Lync but you may lose some functionality. So what do you miss out on by going with a Compatible with Lync vs an Optimized for Lync VoIP phone? As much as I wanted this to be a straight answer where I could give a blanket yes or no to each feature it does vary a bit from manufacturer to manufacturer and even phone to phone within a series from a manufacturer. To see what you miss out by going with a Compatible Lync Phone vs an Optimized Lync VoIP Phone I looked specifically at the Lync Voice Features and the Manageability Features. Of the 15 or so features listed it really came down to 6 where the Compatible phones dropped off compared to the Optimized ones. This list is the 6 key features that many of the Compatible phones didn’t support but the Optimized phones did. The phone models listed are Compatible phones that do support the feature. So in my process of listing the features that aren’t support I showed my hand a little bit about what phones are Compatible with Lync. With both the Compatible and the Optimized phones I have focused on the IP phones and stayed away from the USB and the conference phones. For a more in depth look at Lync VoIP phones as well as other devices qualified for Microsoft Lync you can take a look at the TechCenter on the Microsoft site. It provides an informative overview of all Compatible and Optimized Lync Devices. Tom is the former VoIP Supply Online Marketing Manager. Tom held a variety of positions in both the sales and marketing departments at VoIP Supply.